Many seniors say they want to remain in their homes as they grow old. But life is full of surprises. Sometimes the perfect retirement plan looks much different than you anticipated. Many seniors find that aging in place is difficult, isolating, and even dangerous. As you age, it can be challenging to explore new activities and hobbies, stay in touch with friends, and keep up with the seemingly endless demands of home maintenance. Independent living offers an alternative. You’ll have a well-tended home without any of the demands of home ownership. You’ll maintain your independence, but have help when you want it. Perhaps most importantly of all, independent living makes it easy to enjoy an active, engaged retirement. From holiday events to regular classes, independent living offers something for everyone. Despite this, many seniors let fear drive their decisions. They worry about becoming old and irrelevant, about being ignored, about losing their freedom. The myths of independent living can keep you from the life you deserve. Here’s how your expectations might not align with reality. Expectation: Independent living means becoming irrelevant and disconnected. Reality: Independent living can keep you feeling young, vibrant, and connected to others longer. Most independent living communities offer a wide range of activities, including options for engaging in your local community through volunteer work. If you no longer drive, the transportation services that many communities offer can help you visit loved ones, go grocery shopping, and attend local events. Expectation: Independent living is for people who are old and sick. Reality: Independent living is for seniors, but there’s nothing wrong with being an older person. Cultural myths about aging, however, have left many seniors worried that aging inevitably means physical or cognitive decline. Nothing could be further from the truth. Today’s seniors are leading long, happy, engaged lives. Independent living is for seniors who want to continue to be healthy and active. Seniors who need lots of assistance choose assisted living and similar options. So you won't be surrounded by ailing people; you’ll be surrounded by people just like you—young-at-heart seniors who want to stay that way. Expectation: Independent living is boring. Reality: Culturally, we have lots of stereotypes about seniors. They like knitting, rocking chairs, and sitting for long periods. There's nothing wrong with any of this, but these myths also color seniors’ perceptions of independent living. They worry about limited activities or endless boredom. Today’s independent living communities cater to the individual passions and interests of each of their residents.. If you want to take up knitting, you’ll find a knitting circle. If you want something a bit more active, sign up for a yoga class, go to a wine tasting, or master a new dance move at a community social. There’s something for everyone. With so many activities—and so many potential friends nearby—you’re far less likely to be bored in independent living than you are living at home. Expectation: Independent living means I’ll age more quickly. Reality: Independent living could actually mean a longer, happier, healthier life. Most independent living communities encourage walking and other physical activities. They also offer classes such as yoga and water aerobics to keep you moving. Exercise can help you live longer, reduce the risk of dementia, and even improve symptoms of an overactive bladder. Research has also shown that community engagement through volunteering or other community activities promotes well-being. Remaining cognitively and socially active can improve overall health. Despite this, a recent University of California survey found that more than 40 percent of seniors say they regularly feel lonely. The friendly, community-centered environment of independent living offers an antidote to loneliness that can keep you feeling younger longer. Expectation: Independent living means I’ll have less control over my own life. Reality: Independent living simply means fewer household obligations and less stress when you’re trying to line up transportation or find something to do. No one will tell you how to spend your time or impose rules on what you do, whom you see, or how you eat. The primary focus of independent living is helping you remain happily independent. Whether it’s cooking your own meals, deciding how to decorate your home, coming and going as you please, or just enjoying some quiet privacy, independent living can help you achieve your retirement goals. For seniors who are in reasonably good health and want to remain active, independent living is a great bet. For other seniors, there are myriad other options. 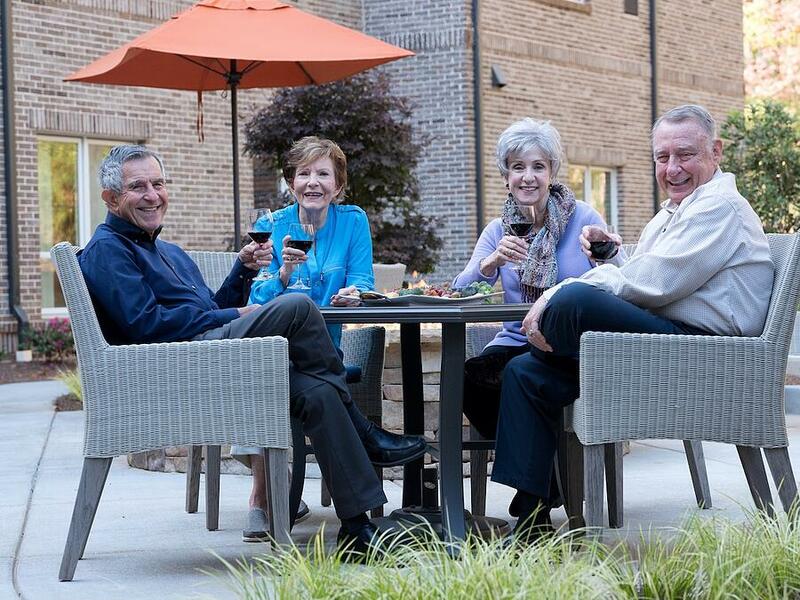 No matter your age or ability level, there’s a senior living solution for you. To learn more, check out our independent living guide.